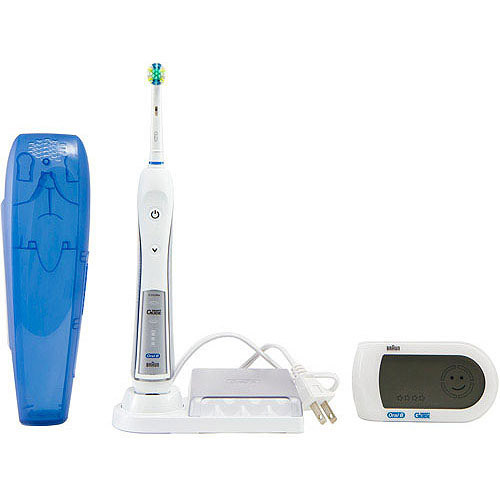 This is the summary of consumer reviews for Water Pik Sensonic Professional Toothbrush - SR 1000. The BoolPool rating for this product is Very Good, with 4.30 stars, and the price range is $59.97-$79.99. My teeth felt cleaner for longer. This isn't the most expensive sonic toothbrush I've used, but it's definitely a good buy for its price if you care about your teeth. I bought this about 6 months ago when my dentist recommended a sonic toothbrush. I'm pleased with how much brighter and cleaner my teeth are with using this product along with the water flosser. It only took about a week of regular brushing to notice quite a difference in the cleanliness of my mouth and the brighter look of my teeth. Decided to buy a sonic toothbrush to take better care of my teeth as I don't make it to the dentist as often as I should. 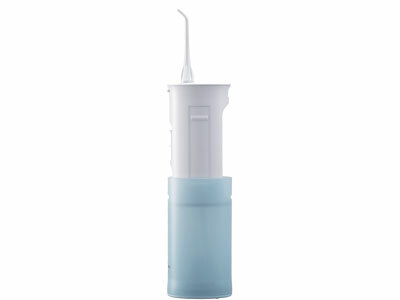 The Waterpik apparently helps with removing any extrinsic stains on the teeth. After several weeks of use of the Waterpik Sensonic Professional Toothbrush here is what I noticed:. Would highly recommend it to anyone in the market for a sonic toothbrush. Product does an excellent job of cleaning teeth and massaging gums. 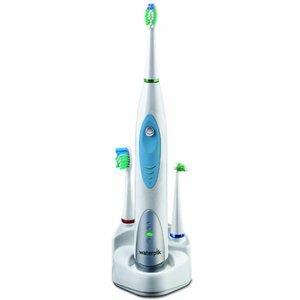 Aside from that, the Sensonic cleans teeth well with an array of accessories. This Toothbrush keeps my teeth clean & my gums healthy effortlessly. It's well worth the price I paid. It also massages the gums as it cleans, making them feel better as well as refreshed by removing the gum soreness I'm occasionally prone to suffering from. If this one lasts half as long it's well worth the price. 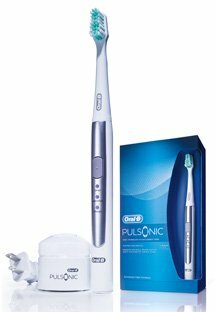 At its current price, the Sensonic Pro provides great value and is a terrific budget alternative to Oral-B and Sonicare while providing (for the most part) almost equal results in terms of cleaning your teeth. Holds charge quite well and is very compact in terms of it's footprint. Overall, this's a great toothbrush and does an excellent job cleaning. Every time I use it, it feels as if I just had my teeth cleaned. Replacement heads are less expensive than other "sensonic" toothbrushes and it cleans my teeth really well. Everytime I brush it's like getting my teeth cleaned at the dentist office. Our teeth feel so much cleaner every day, and the brushes (it comes with two) are removable for cleaning and replaceable. My teeth feel great after using- just like a dental cleaning. I'm quite surprised to feel so enthusiastic about a teeth cleaning product, but I really, really, love this toothbrush. 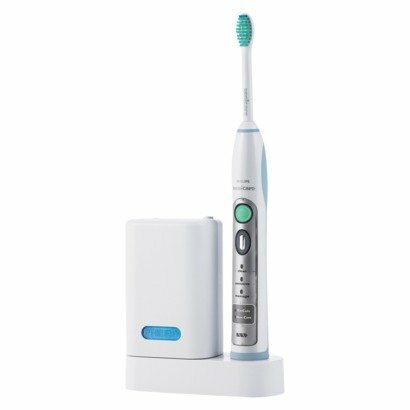 I love the clean feeling of the ultrasonic cleaning and recommend the purchase of the Waterpik for both the high level of cleaning and the low cost of the replacement brush heads (which are just a bit more than a regular toothbrush). 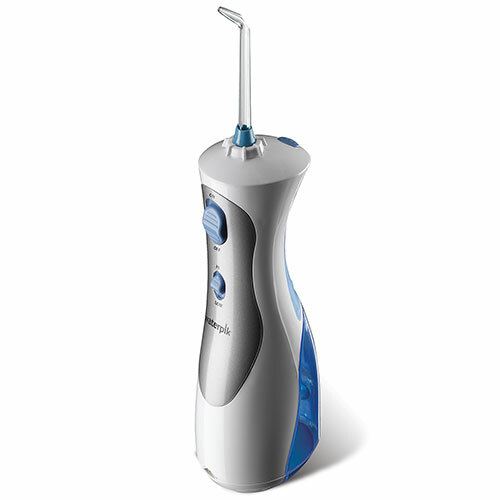 It does a great job of cleaning and in combination with the Waterpik Ultra Waterjet, my mouth feels very clean. You get a deep cleaning feeling everytime after cleaning your tooth. This Waterpik with the timer is wonderful, letting you know when you've spent enough time on each area of your mouth and then having the dental head to get the spots between the teeth that are hard to clean and stain easily, especially with tea and soda drinkers. I keep going for the professional dental cleaning every 6 months because my dental insurance provider reccommends it. After that, the toothbrush would only hold enough charge to brush my teeth 2-3 times. The Sensonic holds a charge reasonably long- I get about a week's use between charges. They sent me a WHOLE NEW TOOTHBRUSH, with charging base and replacement heads, free of charge. It does a very nice job of cleaning and the battery charge lasts a long time. Although replacement heads are available for the regular heads . and the interdental head . , I haven't been able to find replacement heads for the small head - although this might be it Sensonic Compact Brush Heads (2) (UPDATE Nov. 2012 - compact heads are no longer available on Amazon so the link is dead. Battery charge is good for several days to a week after being fully charged. When the replacement came, the battery would hold charge enough for only 2 two-minute uses. It did take a long time to charge initially (the manual says to charge it 16 hours before using it), but after that, it seems to hold a charge well and doesn't need recharging after every use. It comes with two standard heads and an interdental brush head. The item comes with two brush heads and an interdental head, plus there are a few extra spaces on the charger to hold others, if you needed to. 30 second timer for quandrant area brushing. 2 minute timer for total brushing time. 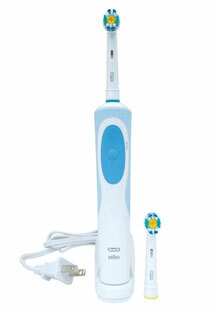 The brush has two speeds, and will pause briefly at 30 second intervals to help time one's brushing. Second, replacement brush heads are reasonably prices and available locally. So if you ever want to quickly switch between LOW/HIGH, you can't avoid turning the unit off first - which will RESET the 2-minute brushing time, and 30-second quadrant time timer. 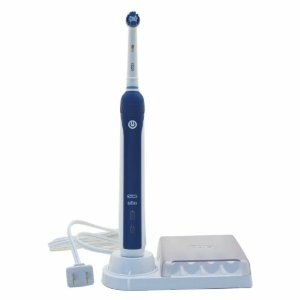 Studies show sonic brushes are better than manual or other powered types of brushes, while being better for your gums. Otherwise, it's a great sonic brush, my teeth feel a lot cleaner and the brush is a lot more gentle on my teeth and gums than normal brushing. In the box: the charger, brush, two brush heads (nice to use with family) and an in-between brush head (which my six-year-old also likes to use so the kid is now brushing happily for four minutes--that alone is worth it!). The package comes with the charger stand, three brush heads (two standard brush heads and one interdental brush), and the actual toothbrush. 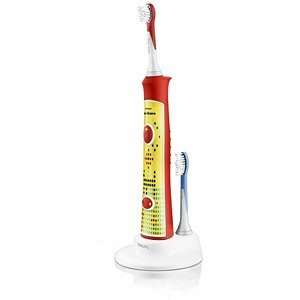 The brush handle which holds the "sonic" power source and the rechargeable battery is about nine inches long without a brush attached. After brushing teeth feel really clean, I also alternate between the high and low speed every other day. The interdental brush head is excellent for cleaning wisdom teeth and in between braces. Gets my teeth clean, a fair price and has lower cost replacement brushes....so far so good. You'll never want to go back to hand brushing again because after each brushing, the ultrasonic toothbrush leaves your teeth feeling as clean and polished just as it does after a professional teeth cleaning at the dentist's office. The 2 brushing speeds really help that problem. The "interdental brush" is quite nice and seems to do a very efficient job of cleaning between teeth. What an awesome feeling to have clean teeth and gums!. I brush my teeth very roughly and go through replacement electrical toothbrush heads like batteries for my . because my rough brushing ruins them fast. The first time you press the toothbrush on you get a gentle speed for your gum areas, hit it again you get a fast speed for your teeth and to help get rid of plague, etc. The last brush, the 'interdental brush head' is made for 'trouble spots' in between teeth. This brush comes with two regular head and one pointy head for between-teeth cleaning.